Easy Imager is a powerful tool for managing, creating, and batch-processing images from a wide range of popular picture formats. An elegant interface makes it a snap to find your images and select them for processing individually, in batches, or in whole folders, using a thumbnail-based file selector. You can use slider controls to rotate images and adjust their contrast, brightness, color, sharpness and quality, and check out results with a convenient built-in viewer. Provides tools to convert images to other formats, print text on pictures, capture screen shots, import pictures from TWAIN devices and change your Desktop Wallpaper, search for images, associate text descriptions with pictures, and more. Optimized for high quality results rather than speed; Displays files as thumbnails for easy finding of images; Easily batch processes large numbers of pictures. 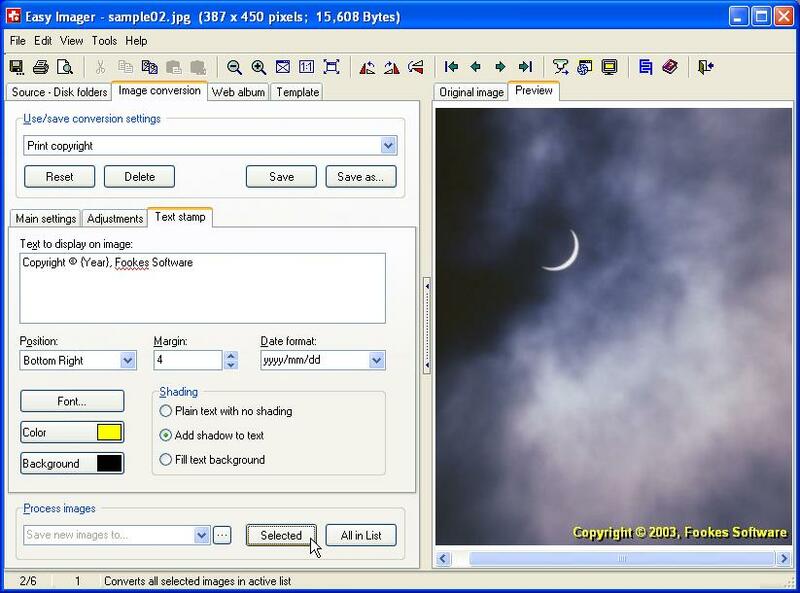 Conversion tools include JPEG compression, contrast, brightness, hue, saturation, and sharpness; Offers settings to add text to pictures, such as a copyright notice or date stamp; Scales images up or down with high quality results. Choice of nine resampling filters, including Lanczos3; Shows a real-time preview of the target image and its file size; Preserves EXIF data in JPEG images larger than 300x300 pixels. Automatically removes EXIF data from small thumbnails; Manages images descriptions; Provides Live Spelling in all text fields to help you correct spelling mistakes; Acquires TWAIN pictures. Finds pictures with powerful search tools that support regular expression patterns; Captures screen shots; Crops images with pixel precision; Can create Web-based photo albums of image sets, based on customizable templates. 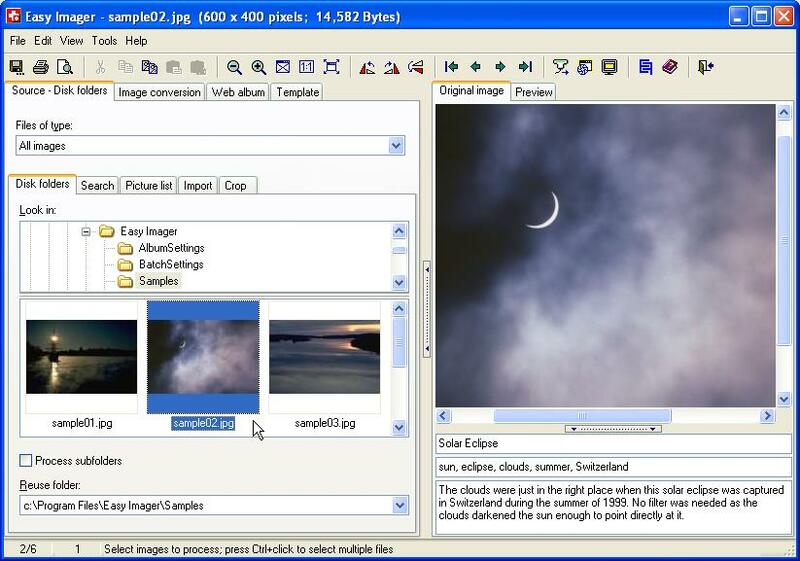 Supported Image Formats: *.jpg; *.jpeg; *.jpe; *.jpc; *.j2k; *.jp2; *.pbm; *.pgm; *.ppm; *.png; *.tif; *.tiff; *.fax; *.tga; *.targa; *.vda; *.vst; *.emf; *.ico; *.wmf; *.bmp; *.dib; *.rle; *.pcx.